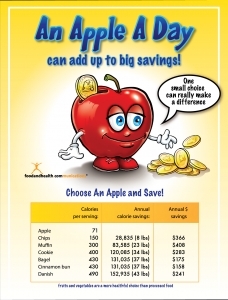 Apple Month is here! And guess what? 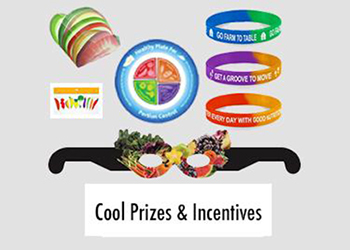 It's not going anywhere, so there's plenty of time to find fun new ways to celebrate! I've been cooking with apples for a very long time now, and they play key roles in some of my favorite recipes. So, to inspire you, expand your repertoire, and offer free materials that you can send on to your clients, I have collected my top 10 best apple recipes right here, just for you. 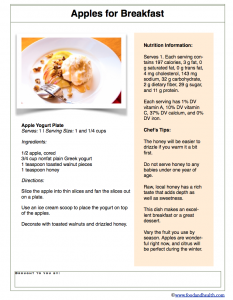 The Apple Yogurt Breakfast Plate is one of my newest creations, and it has fast become a staple in my busy household. 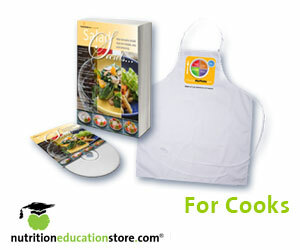 Here's the recipe, along with a free handout! Slice the apple into thin slices and fan the slices out on a plate. Use an ice cream scoop to place the yogurt on top of the apples. Decorate with toasted walnuts and drizzled honey. Serves 1. Each serving contains 197 calories, 3 g fat, 0 g saturated fat, 0 g trans fat, 4 mg cholesterol, 143 mg sodium, 32 g carbohydrate, 2 g dietary fiber, 29 g sugar, and 11 g protein. Each serving has 1% DV vitamin A, 10% DV vitamin C, 37% DV calcium, and 0% DV iron. The honey will be easier to drizzle if you warm it a bit first. Do not serve honey to any babies under one year of age. Raw, local honey has a rich taste that adds depth as well as sweetness. This dish makes an excellent breakfast or a great dessert. Of course, that's not the only way that you can enjoy apples for breakfast. It's also worth checking out Pumpkin Apple Butter. This simple and tasty treat is delicious when stirred into yogurt and it also makes a fantastic fruit spread for toast. Pumpkin Apple Butter is an amazing fall food -- get the recipe today! 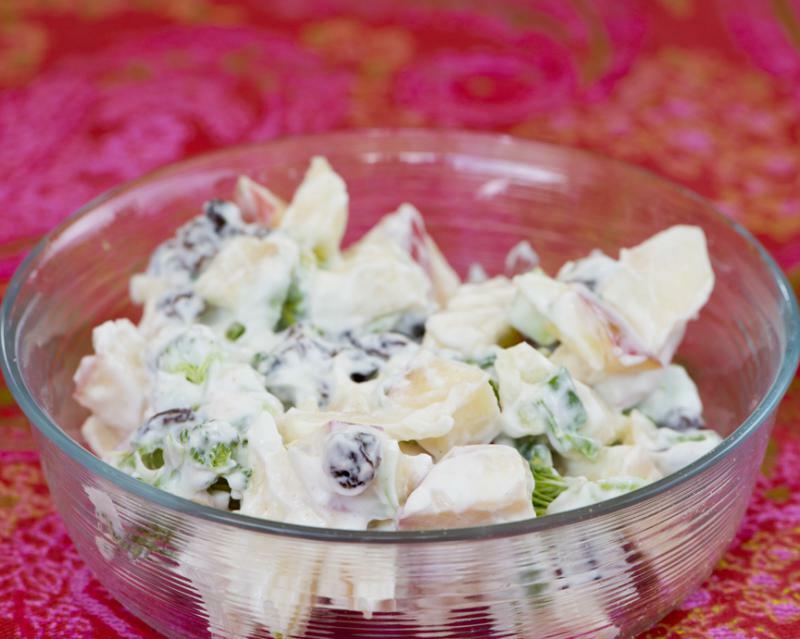 The Apple Broccoli Waldorf Salad is one of my all-time most requested recipes. I like to make it around the holidays because of its festive colors, but it's a wonderful lunch at any time of year. Take a look at the recipe and let me know what you think! Stir well and refrigerate until ready to serve. Serves 4. Each serving contains 141 calories, 3 g fat, 0 g saturated fat, 0 g trans fat, 2 mg cholesterol, 38 mg sodium, 28 g carbohydrate, 4 g dietary fiber, 20 g sugar, and 4 g protein. Each serving has 9% DV vitamin A, 76% DV vitamin C, 8% DV calcium, and 5% DV iron. 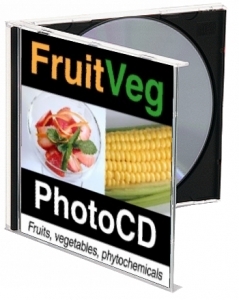 This dish looks great when served on a bed of lettuce with a pinch of ground cinnamon on top. Leave the peels on the apples for the full measure of healthful fiber. But wait, there's more! The Apple Walnut Tossed Salad is another fantastic lunch option. It's simple, inexpensive, and comes together in a flash. Get the recipe now! 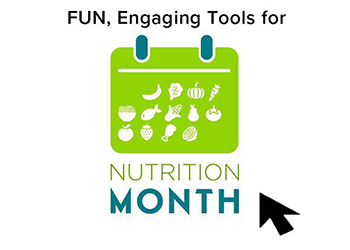 One of the best bits of advice from MyPlate is to snack on fruits and vegetables. Apples offer a wonderful way to do this -- they're crispy, crunchy, and oh-so-versatile. Here we have 3 great ways to snack on apples, which brings our running recipe count up to 7. Dried Apple Crisps are one of my newer creations. I decided to make them as simple and elegant garnishes for desserts, but I found that I couldn't stop snacking on them. Baked, not fried, and loaded with fiber and nutrients, these are a perfect snack for any craving. But don't take my word for it -- take a look at the recipe and decide for yourself! 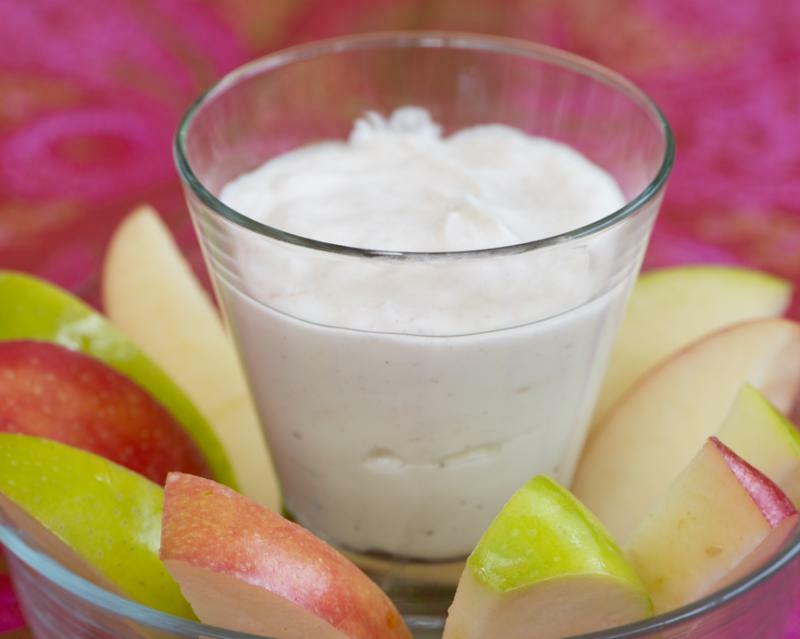 Apple Ambrosia is made by folding yogurt, fruit, and toasted nuts together. In ancient Greek mythology, ambrosia was considered the food of the gods and was often depicted as conferring ageless immortality upon whomever consumed it. So, you know, no promises or anything, but this recipe is pretty dang good. Let's round out the snack section with Apple Dip, which is pictured above. Light, sweet, and crunchy, this tasty snack can also do double duty as a healthful dessert. So what goes into this luscious dip? View the recipe to find out! While you might not think of apples as a dinner staple, they actually add more than a little pep to a wide range of dishes. The Cranberry Apple Baked Yams, for instance, are the perfect warming side dish for a crisp fall day. Cut peeled yams into 1/2 inch chunks and spread them in a large baking dish. 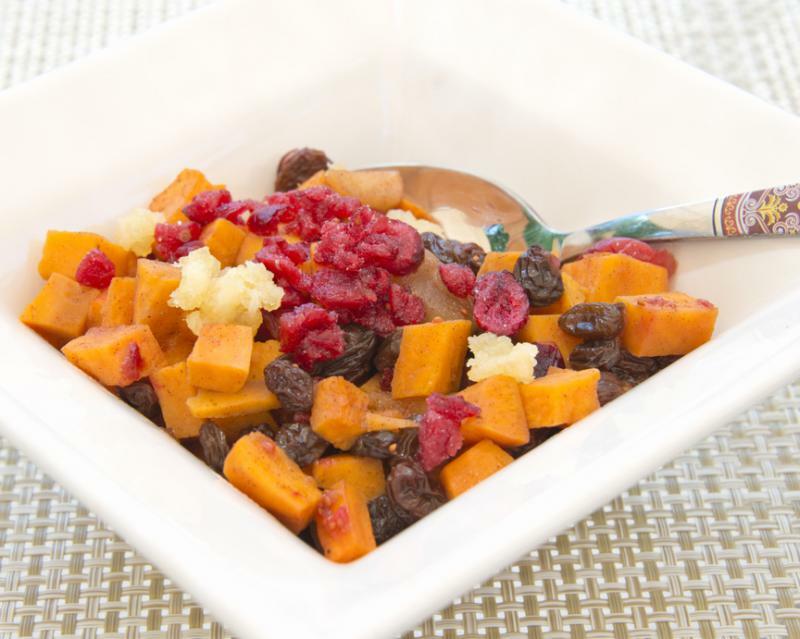 Top the yams with diced apple, cranberries, and raisins. Sprinkle the whole dish with the maple syrup and spices, then pour orange juice over it all. Cover and bake for 1 hour or until yams are tender. Serves 8. Each serving contains 206 calories, 0 g fat, 0 g saturated fat, 0 g trans fat, 0 mg cholesterol, 30 mg sodium, 51 g carbohydrate, 2 g dietary fiber, 13 g sugar, and 3 g protein. Each serving has 1% DV vitamin A, 26% DV vitamin C, 7% DV calcium, and 5% DV iron. Serve this alongside baked chicken or fish. Feel free to play around with the spice combinations. Cloves and mace add lovely flavors as well. Of course, apples and yams don't have a monopoly on awesome side dishes. There's also this amazing Apple Chutney, which has been a client favorite ever since it was first published. Check out the recipe today! Apples make great desserts. 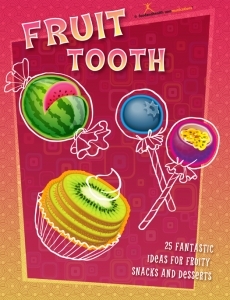 Slice them up or simply eat them out of hand for a sweet treat at the end of a meal. Now if you're feeling fancy, you could always try the 10th and final featured apple dish in this post -- Apple Strudel. This sweet dessert has a mere 149 calories per serving, with only 8 grams of sugar. 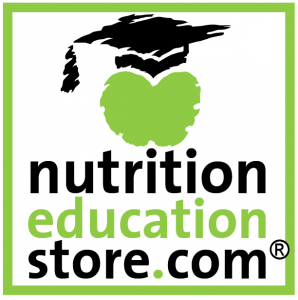 It's a treat that promotes heart health while enabling weight management. Plus, it's delicious. See the recipe for more information. 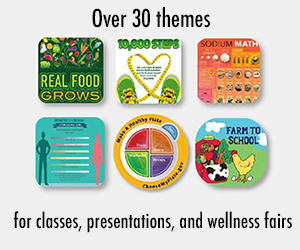 By Judy Doherty, PC II and Founder of Food and Health Communications, Inc.
Apple Month is one of my favorite months, so my team and I have created a lot of great apple resources over the years. 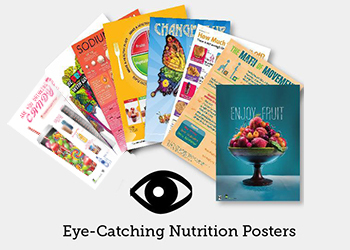 Check out these great nutrition education materials!